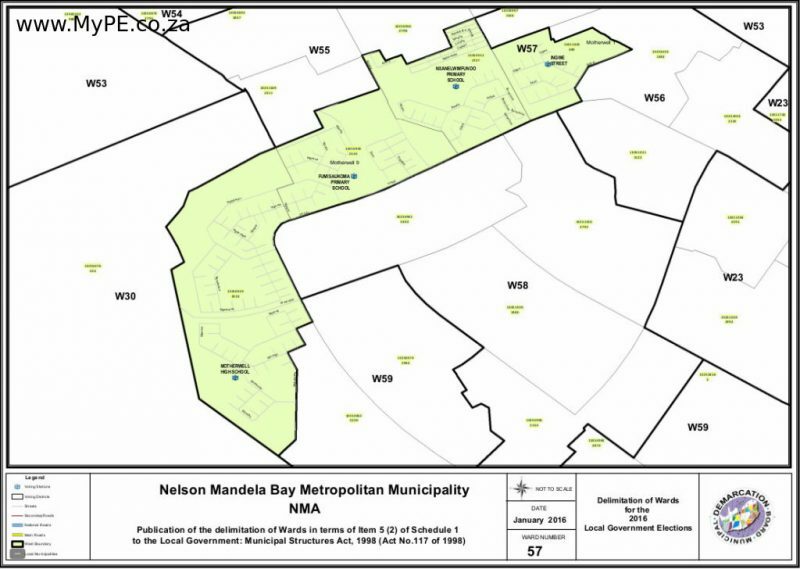 There are two kinds of Metro councillors: those who have been elected in the municipal elections in one of the Metro’s 60 wards, and those who are elected by proportional representation on the basis of political party lists (Each political party is allocated a proportion of the remaining 60 councillor seats according to the percentage of votes a party has won in the municipal election). 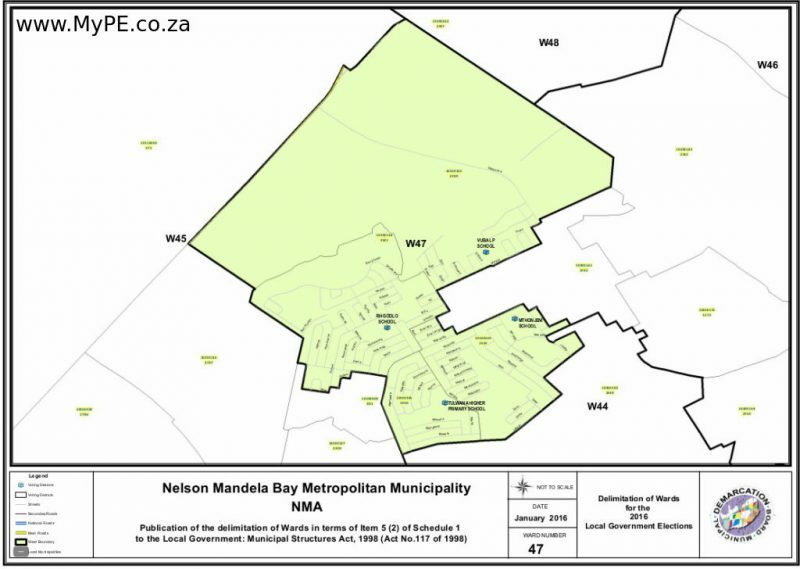 Ward councillors have more responsibilities, including being chairperson of the ward committees in their wards. 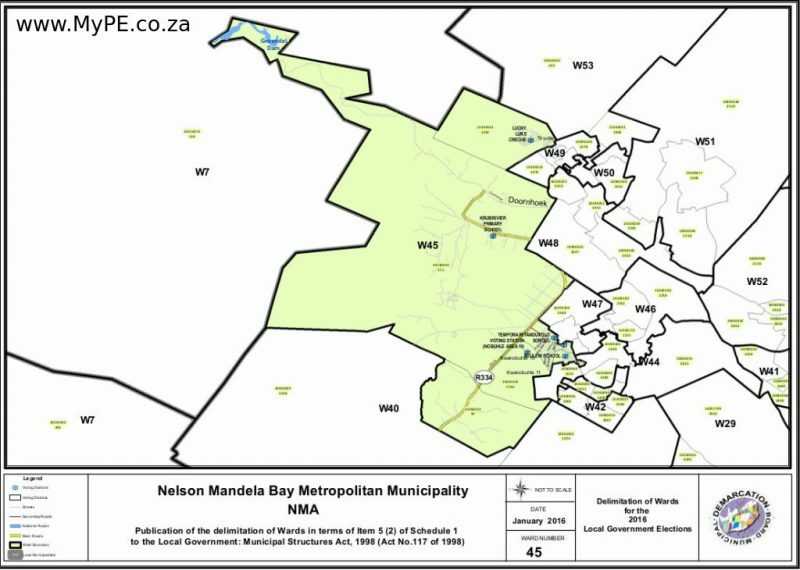 Ward committees have been elected for each of the Municipality’s wards to allow councillors to stay in touch with what is happening at a local level and to give the community the opportunity to participate in governance. 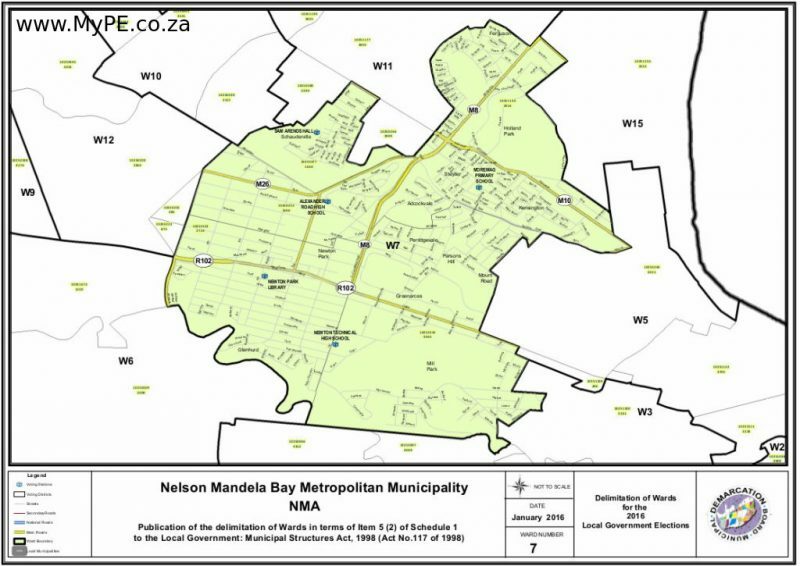 Members of civil society are represented on these ward committees. 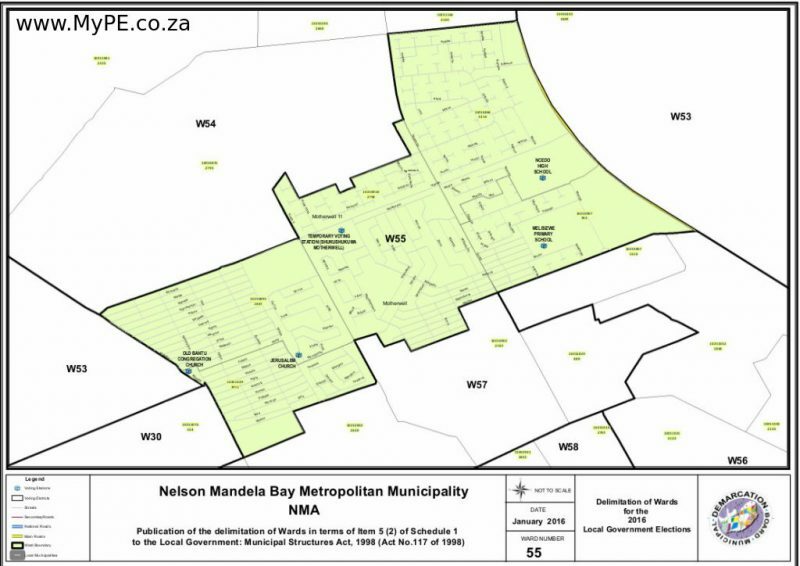 CLICK HERE to see the latest Ward Maps to determine which ward you are in. 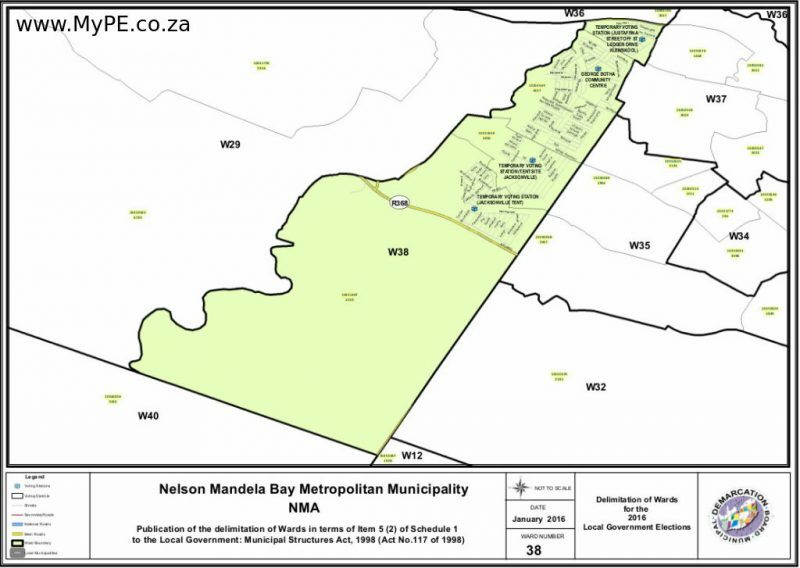 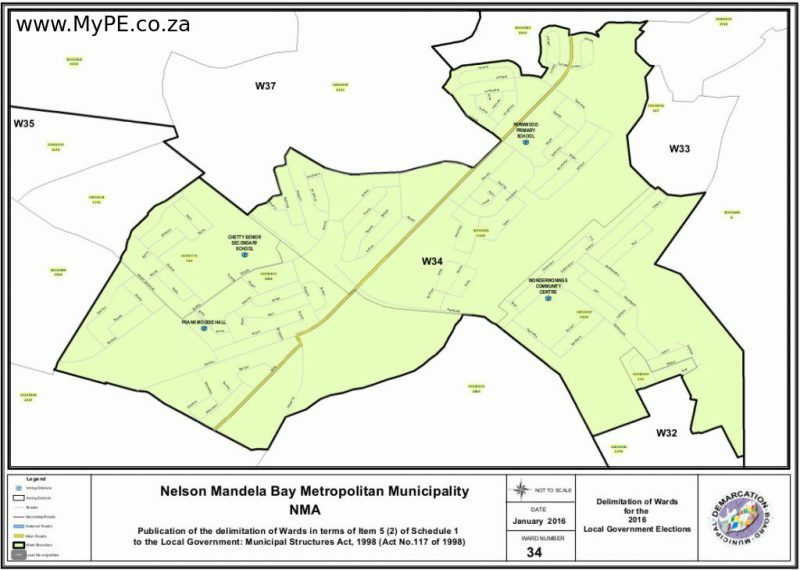 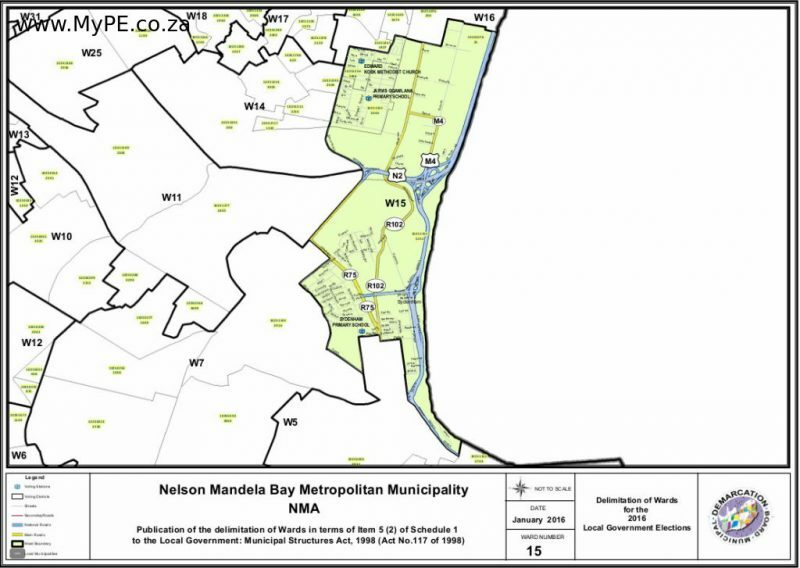 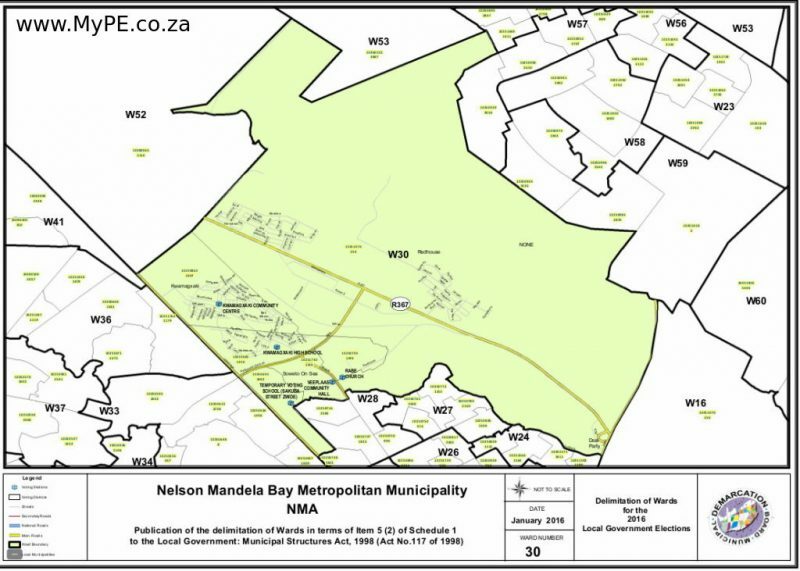 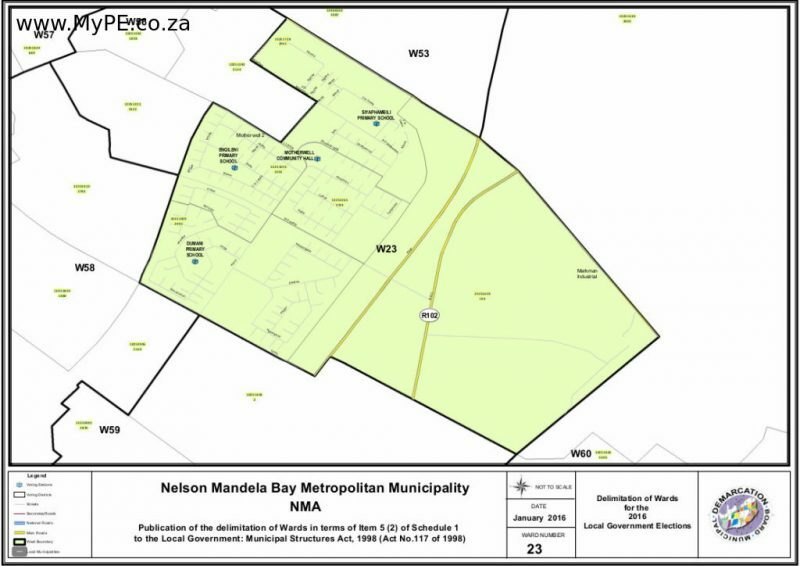 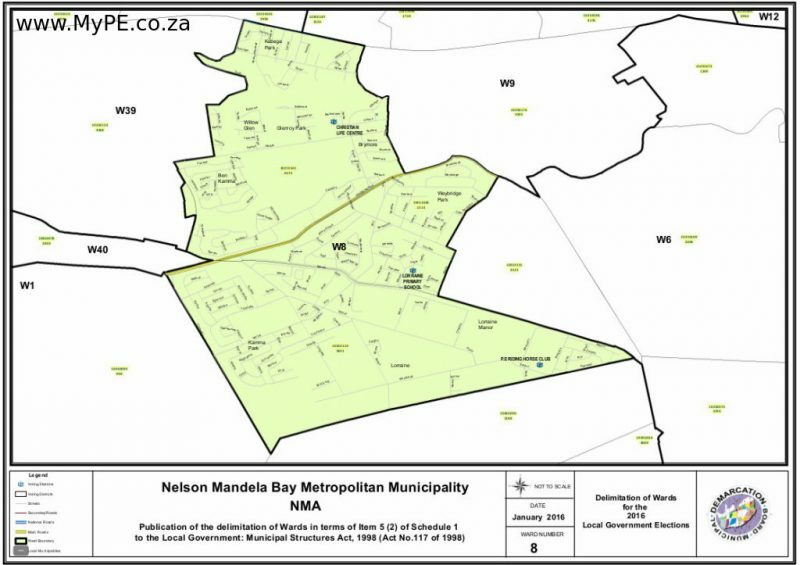 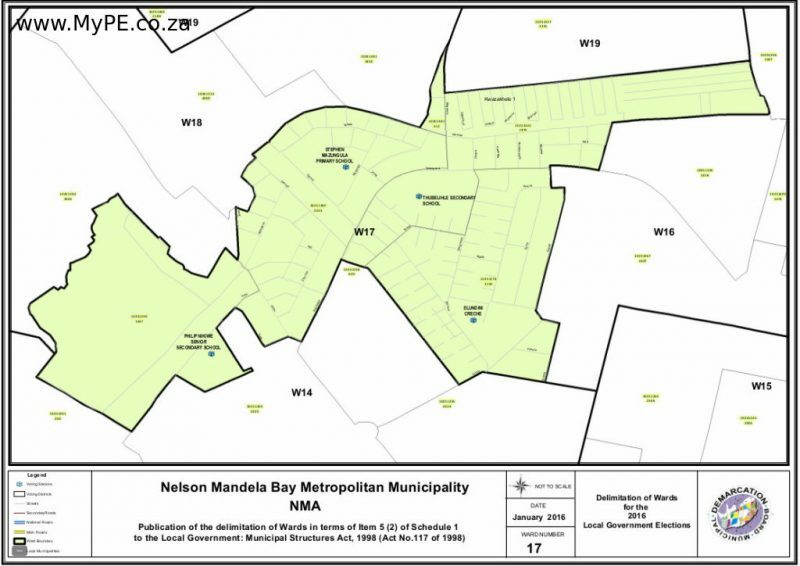 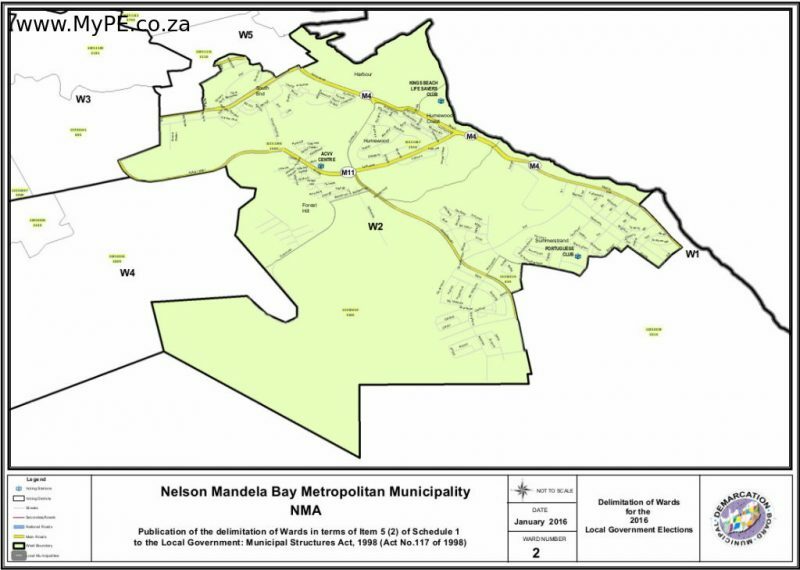 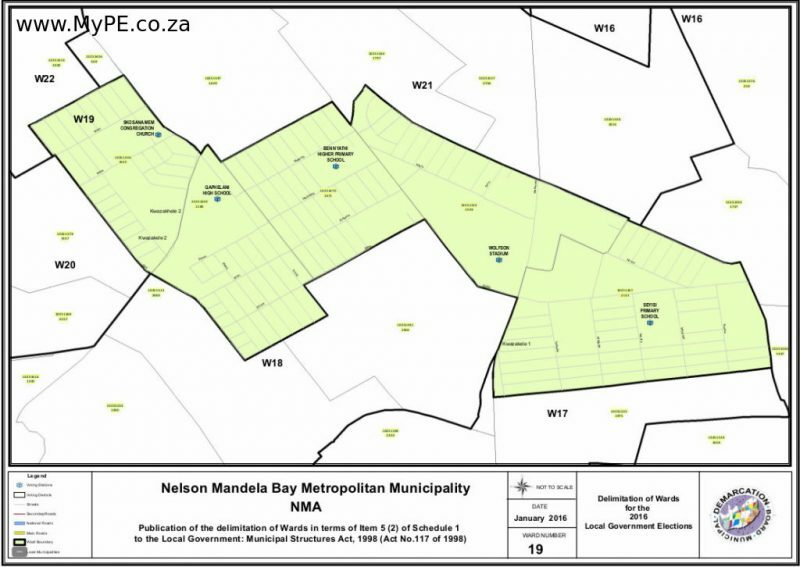 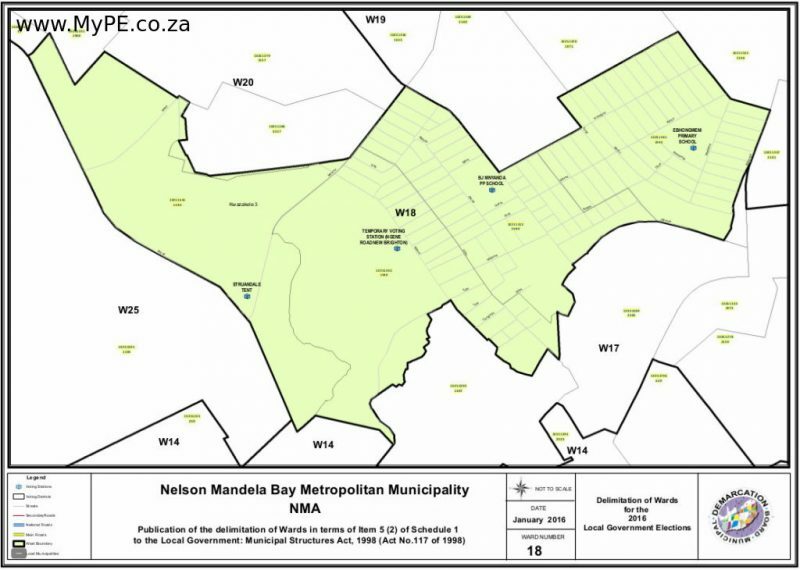 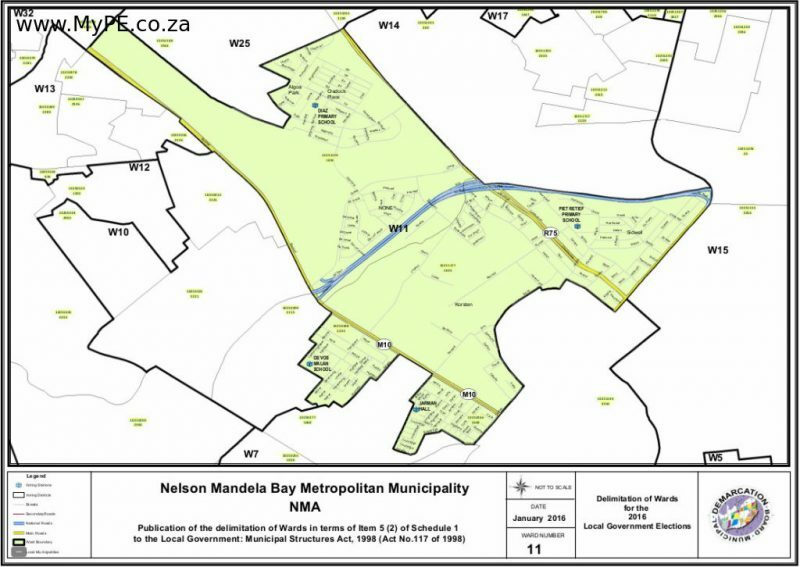 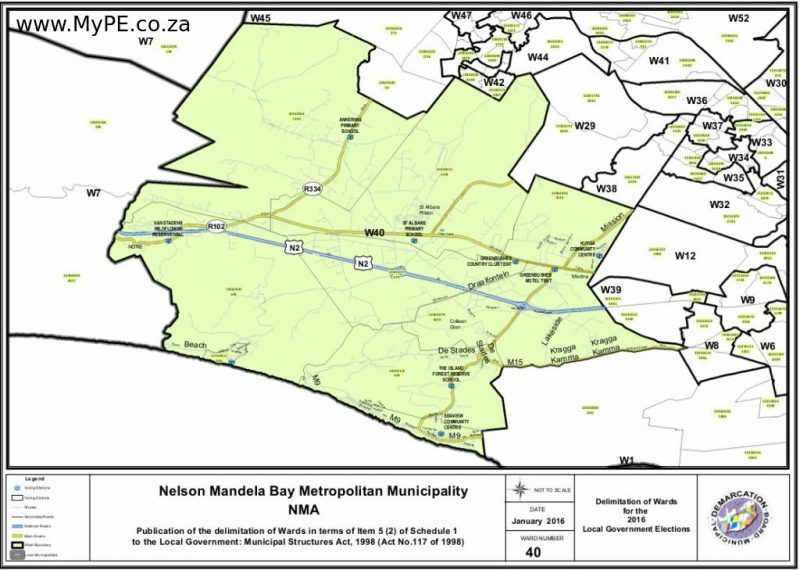 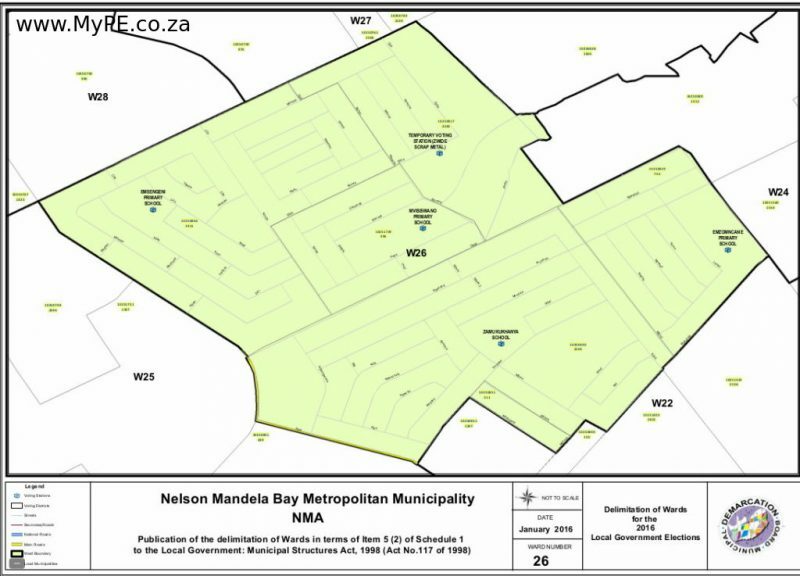 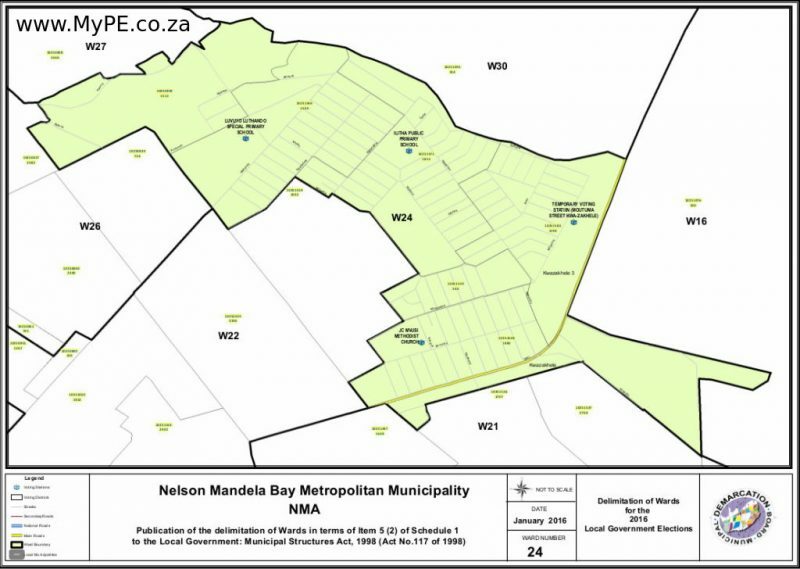 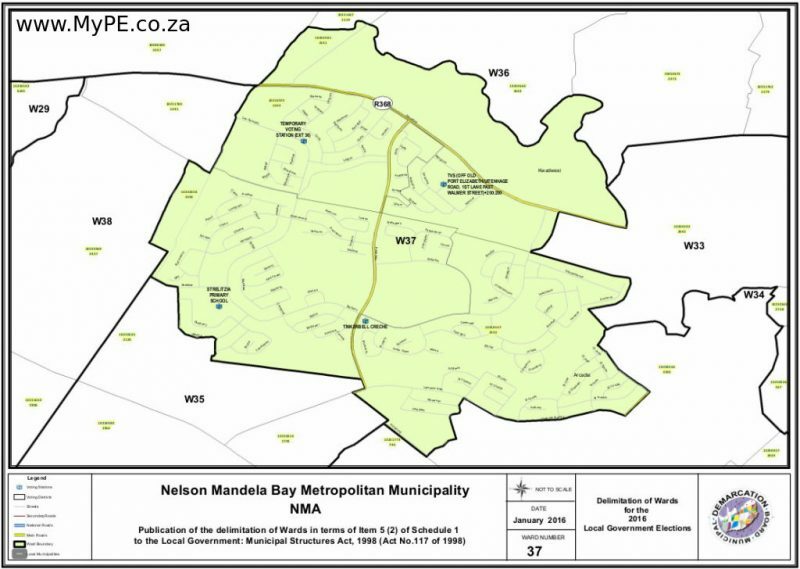 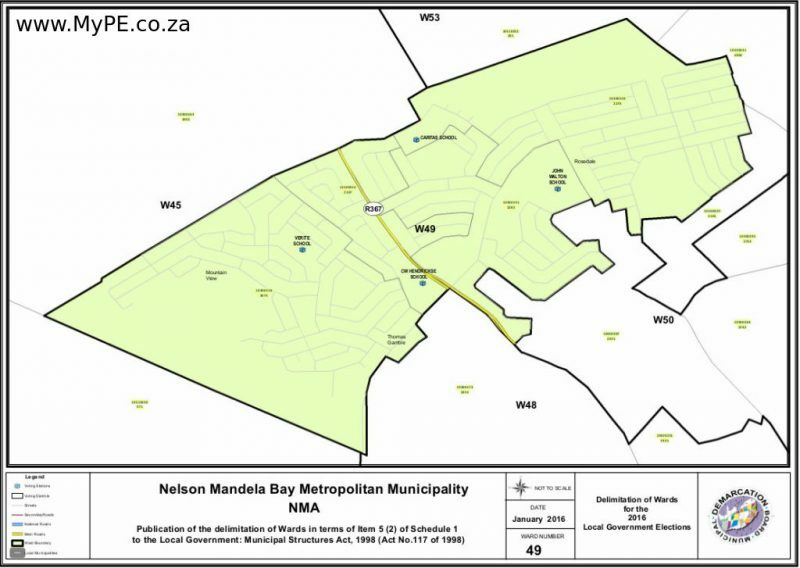 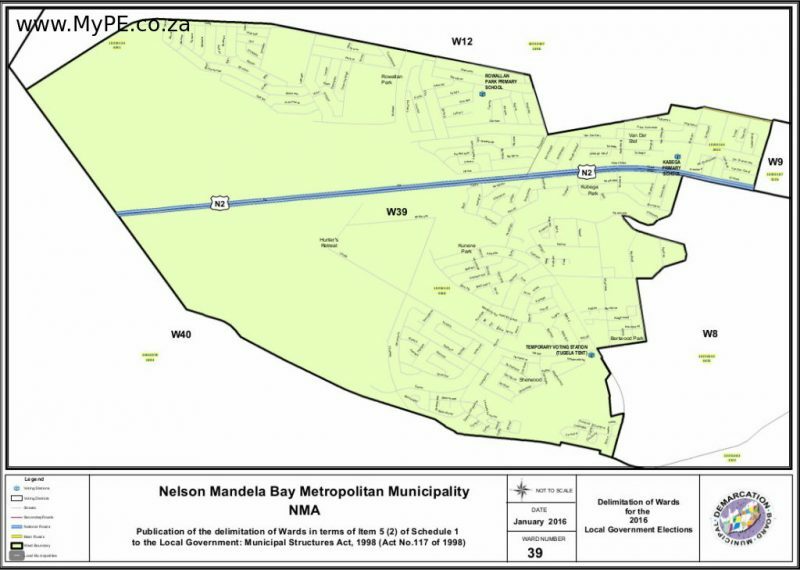 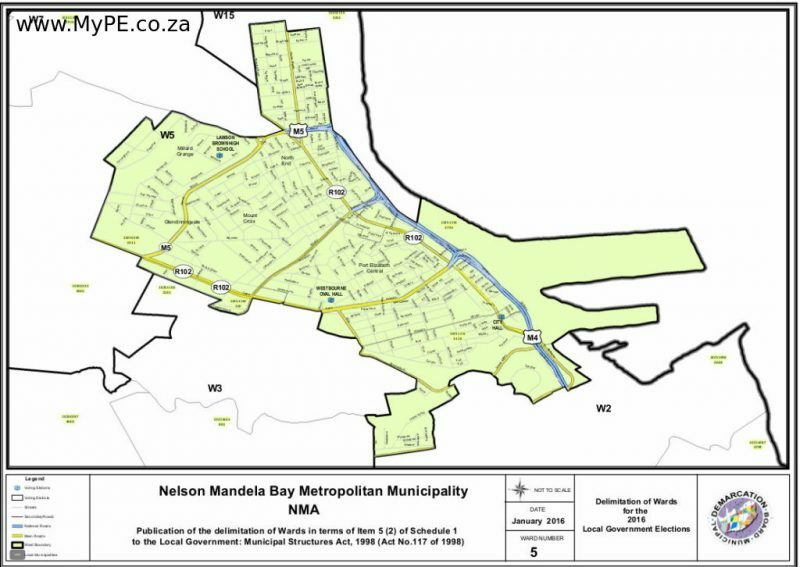 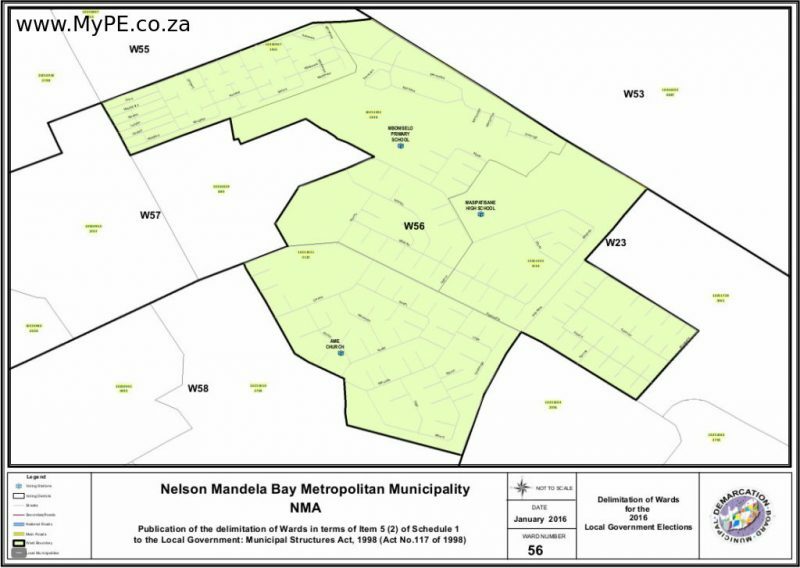 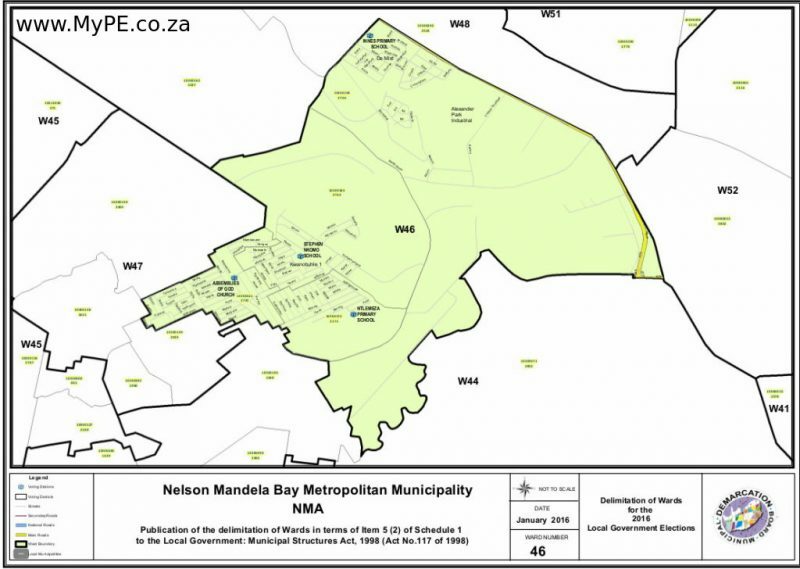 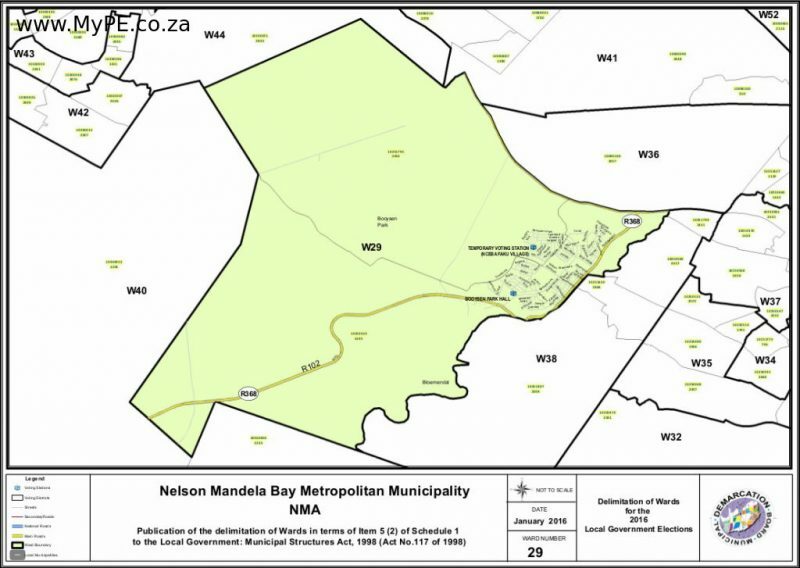 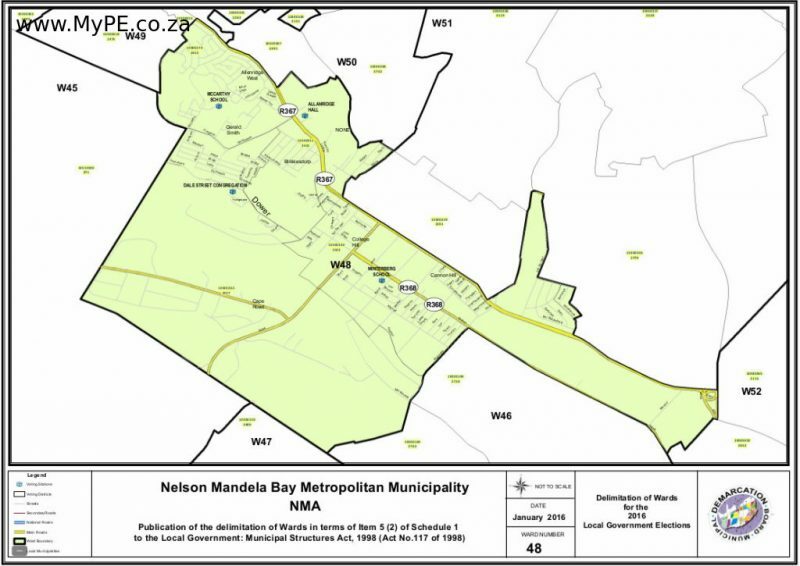 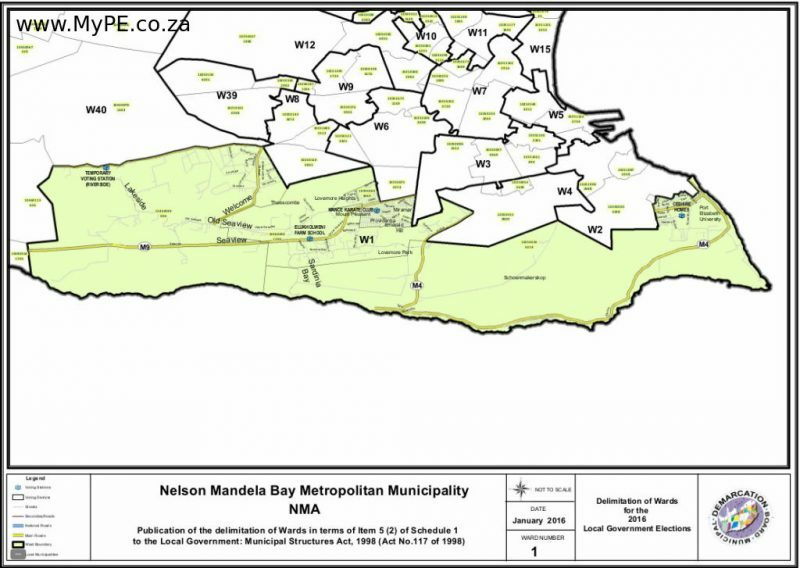 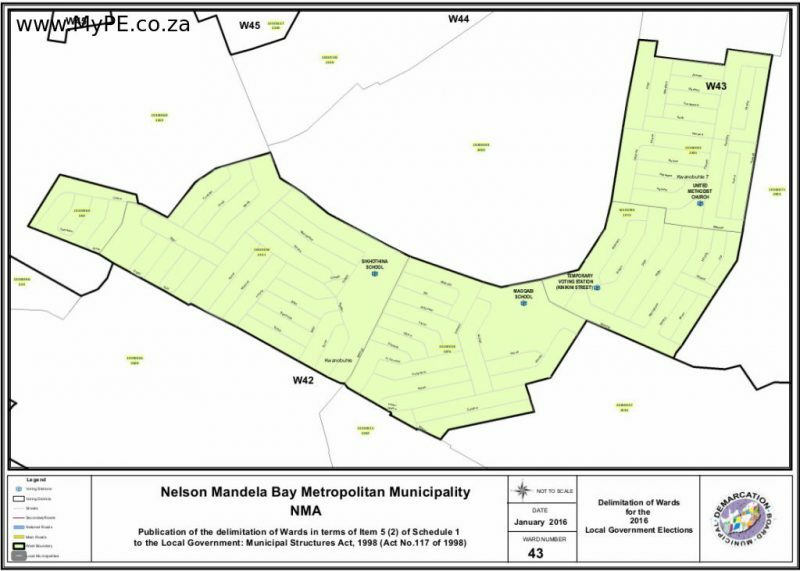 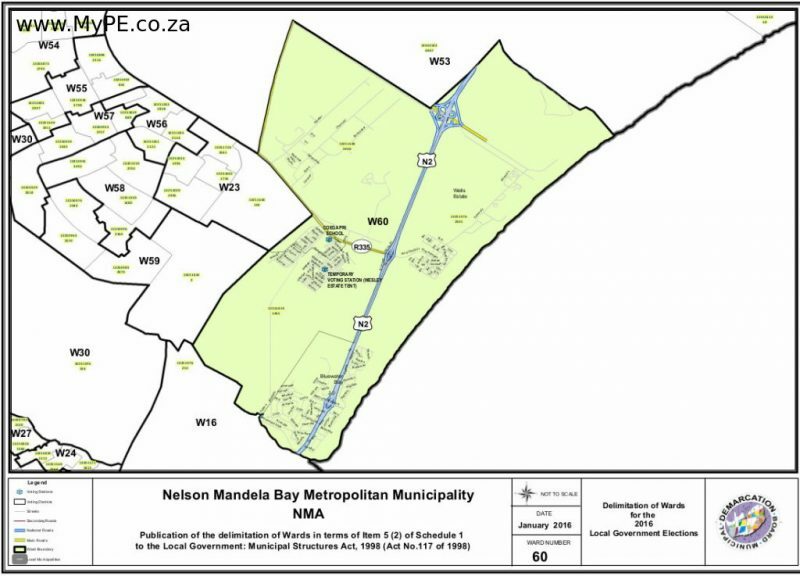 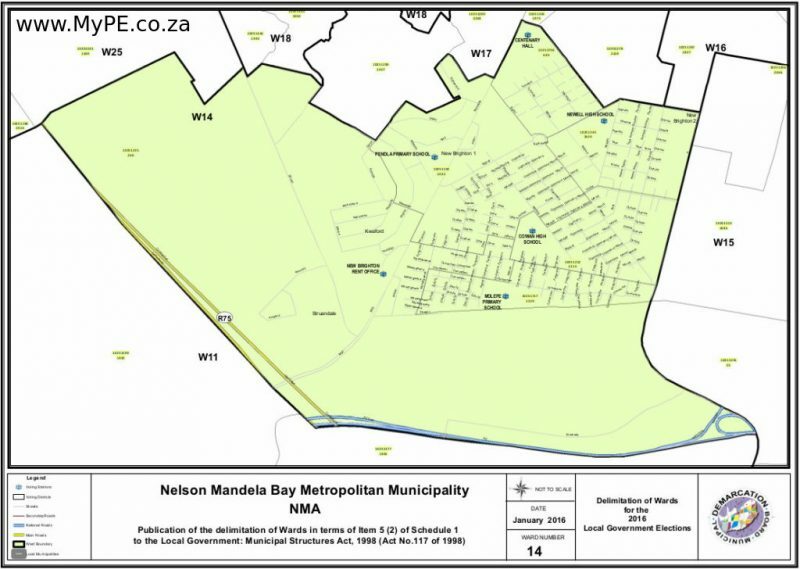 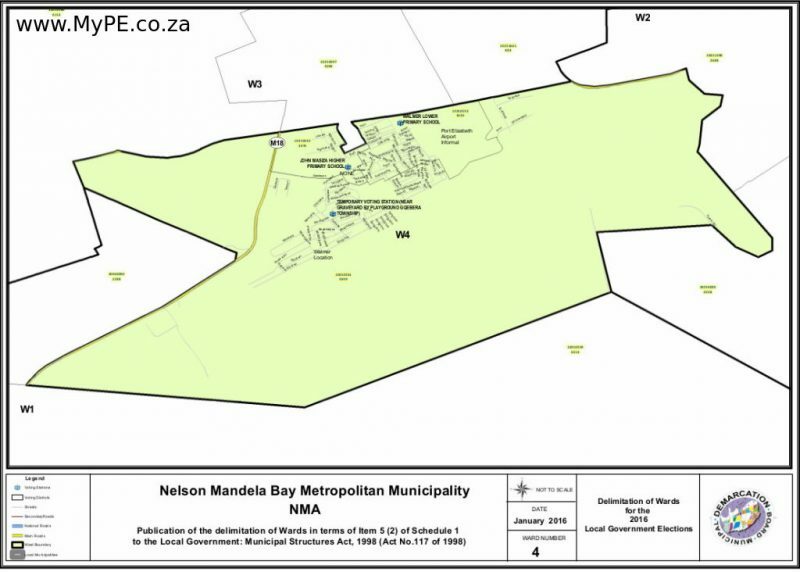 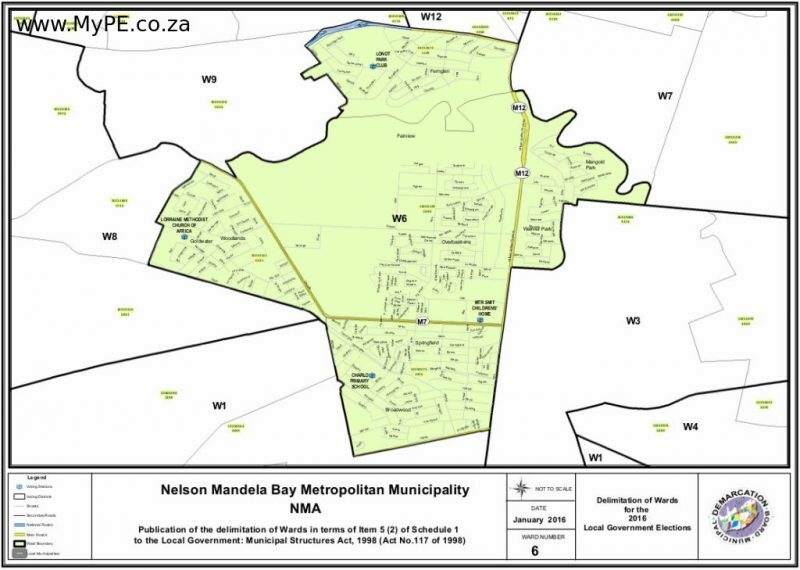 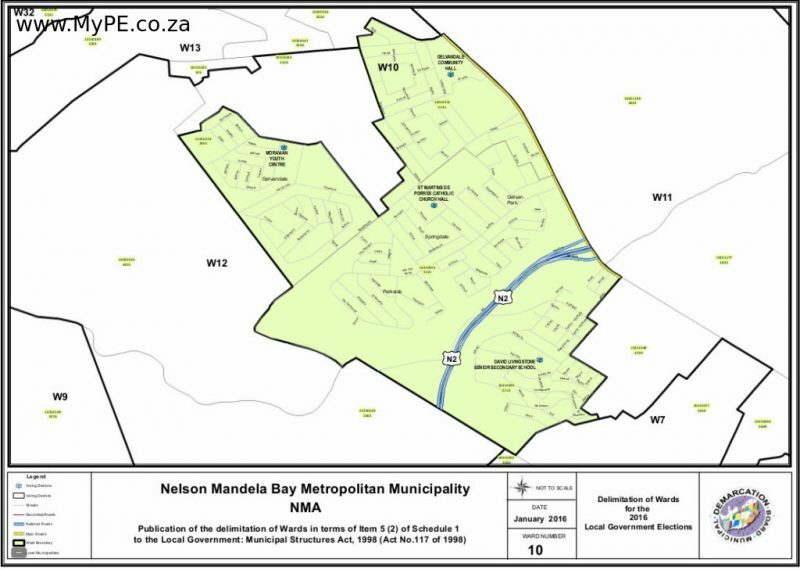 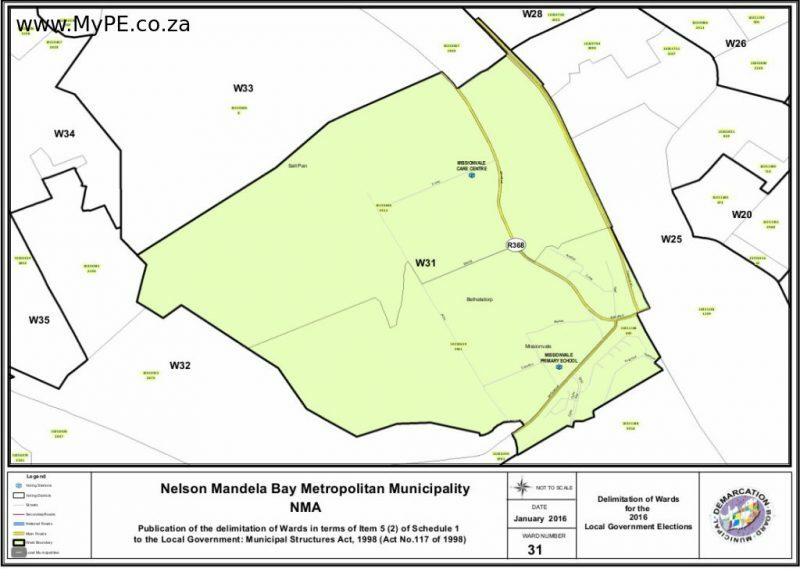 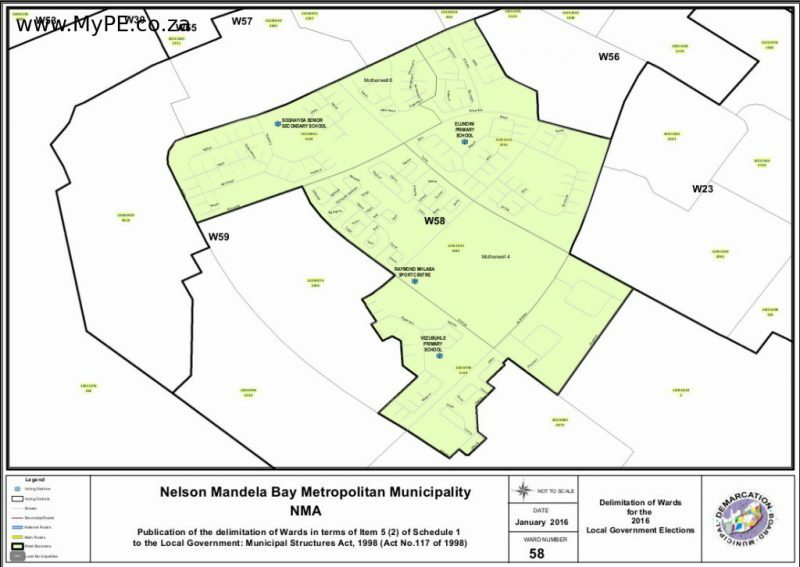 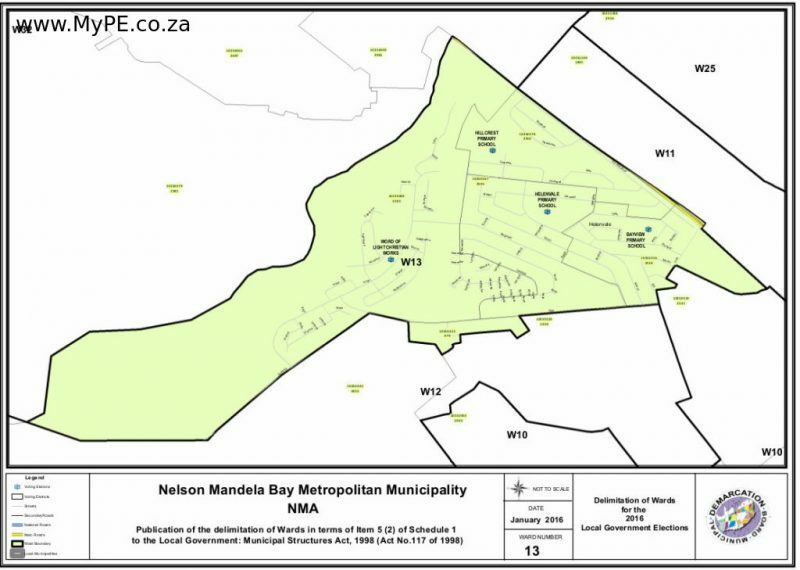 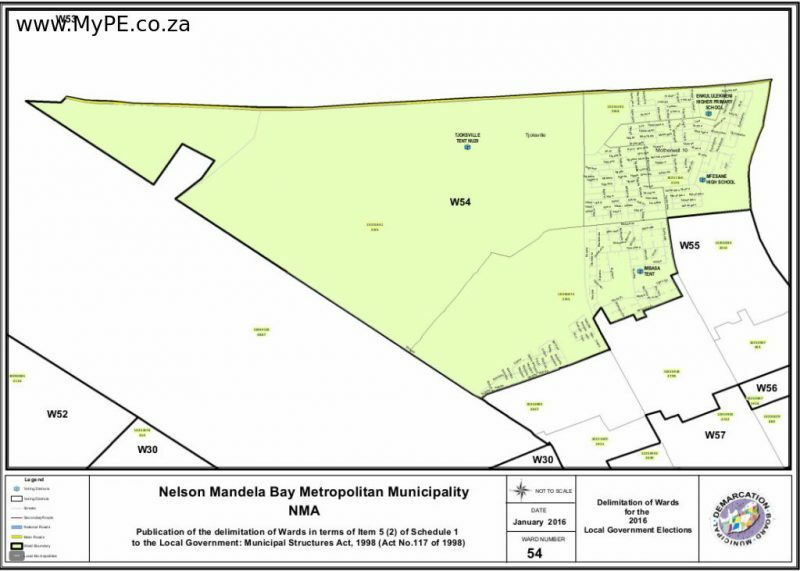 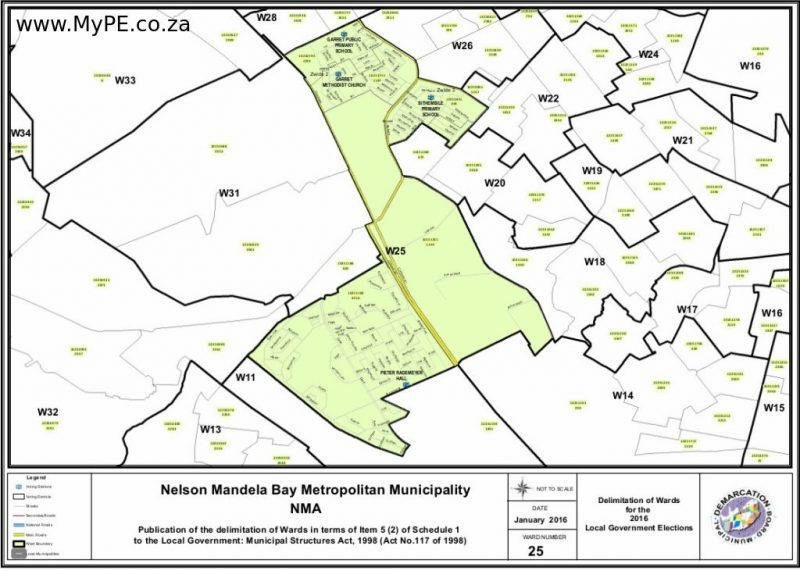 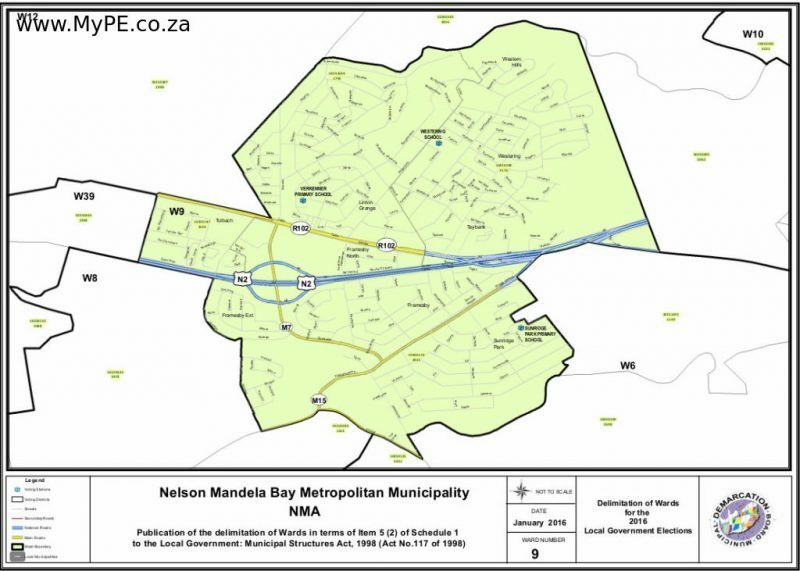 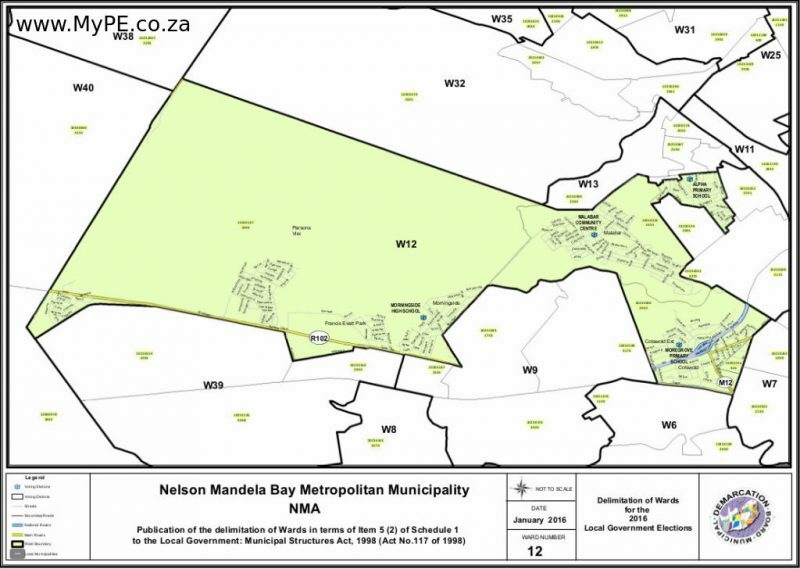 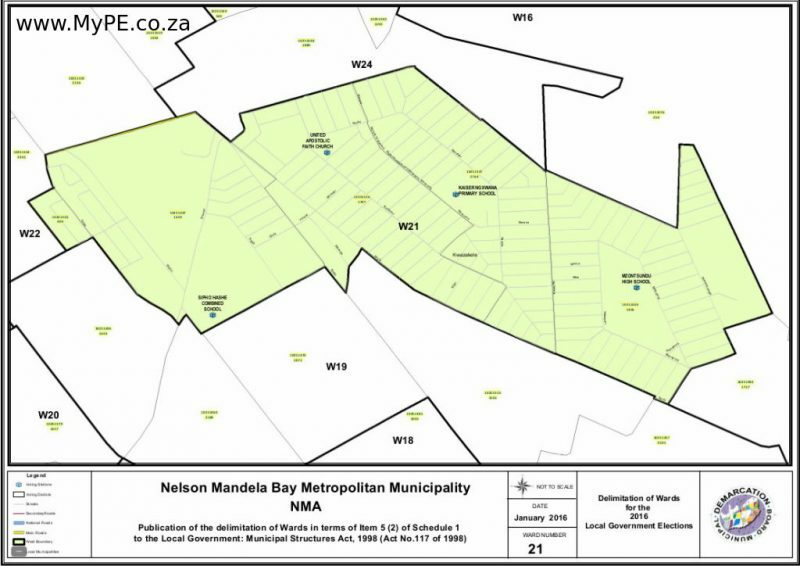 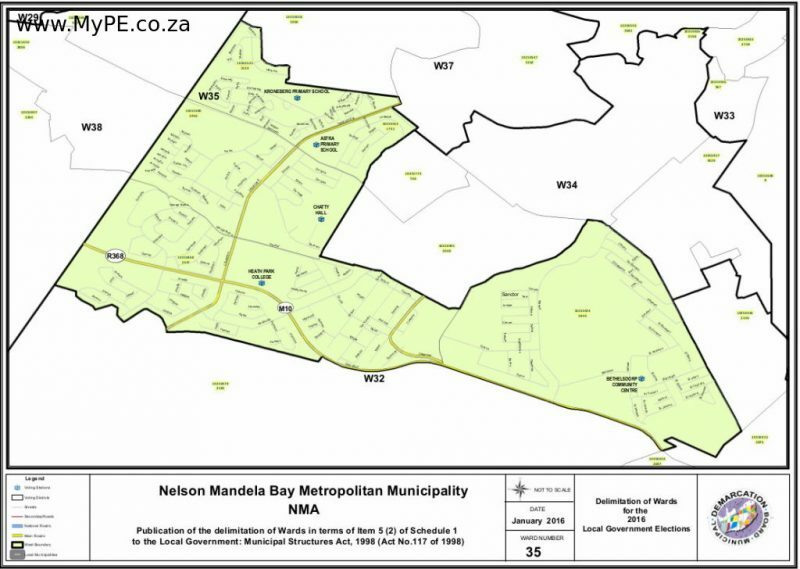 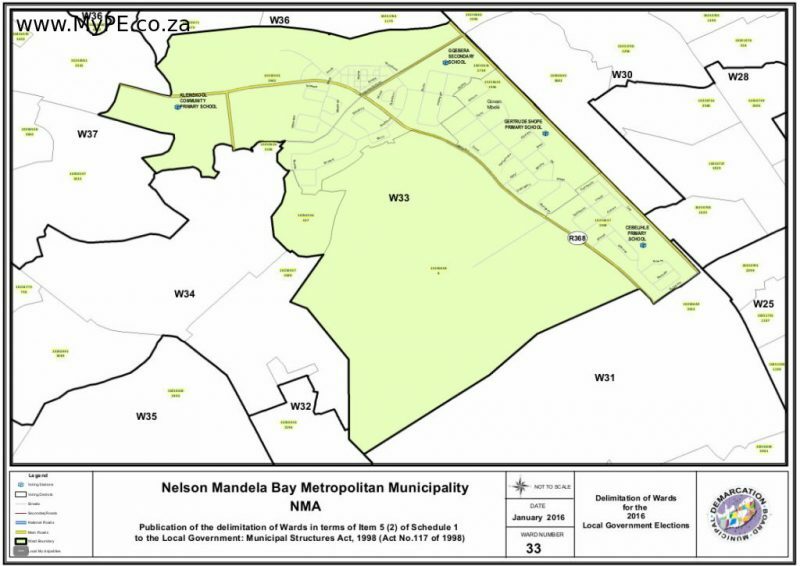 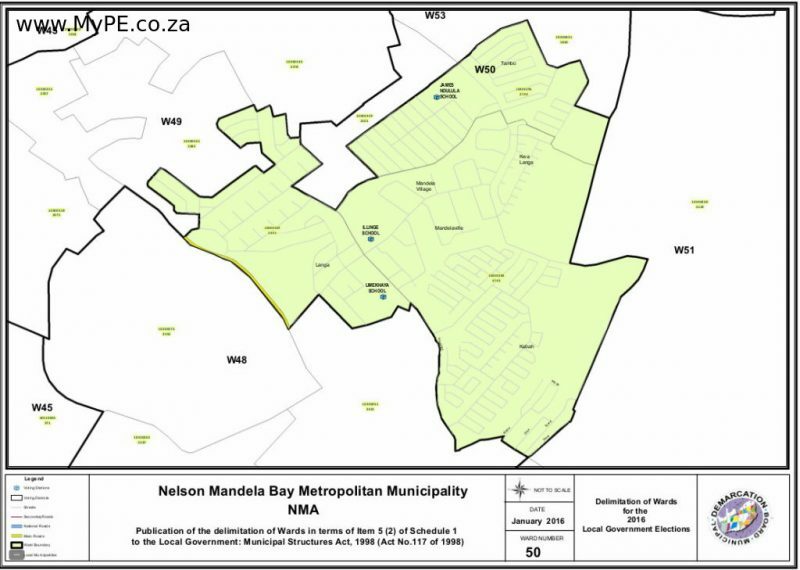 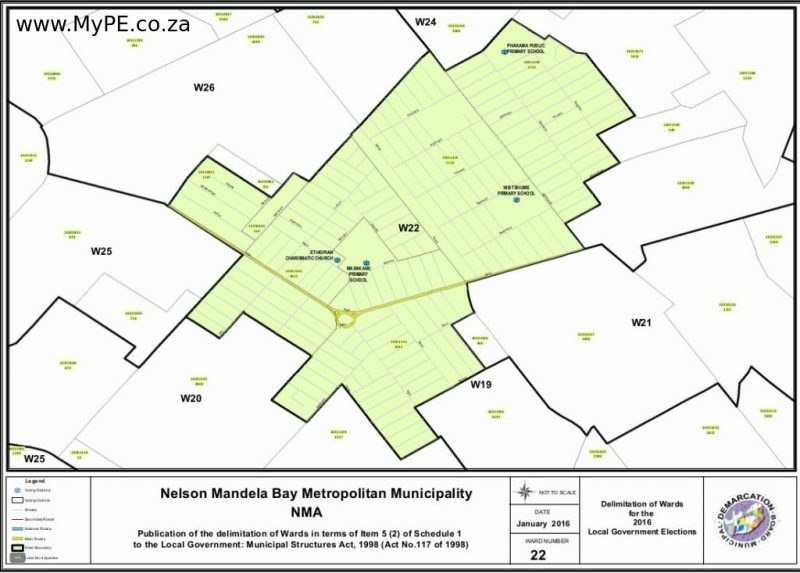 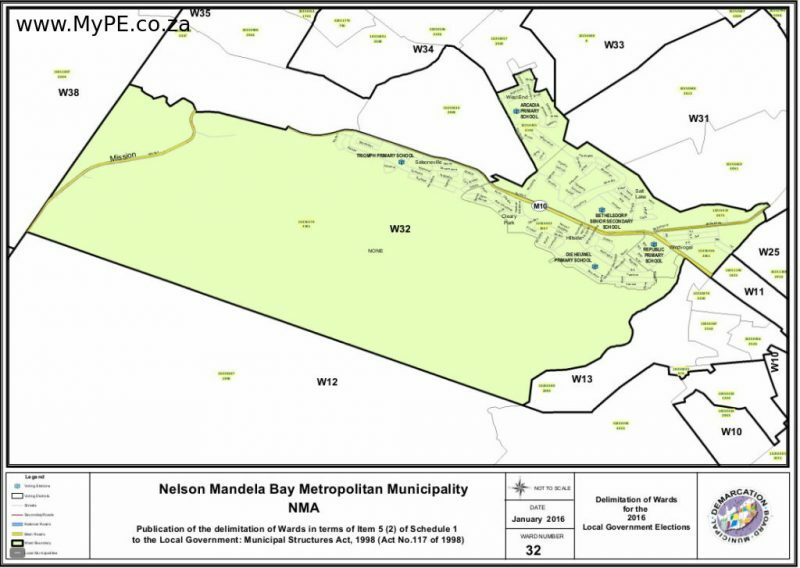 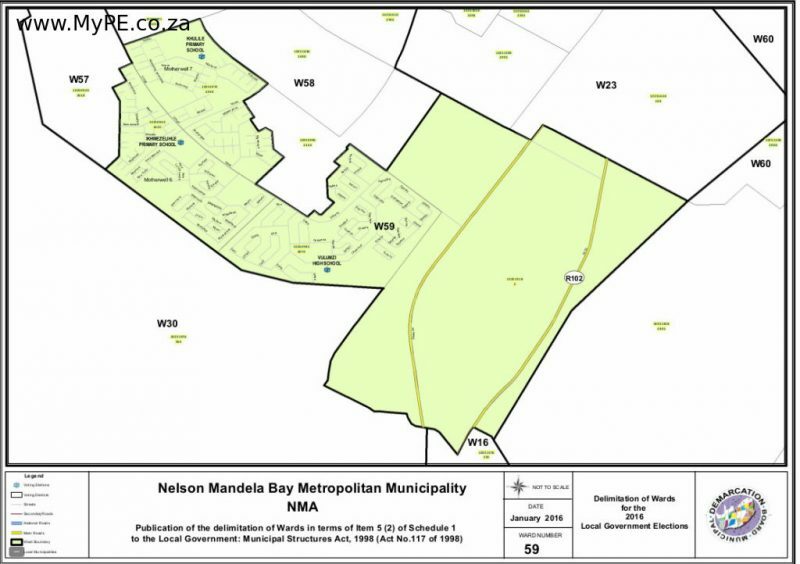 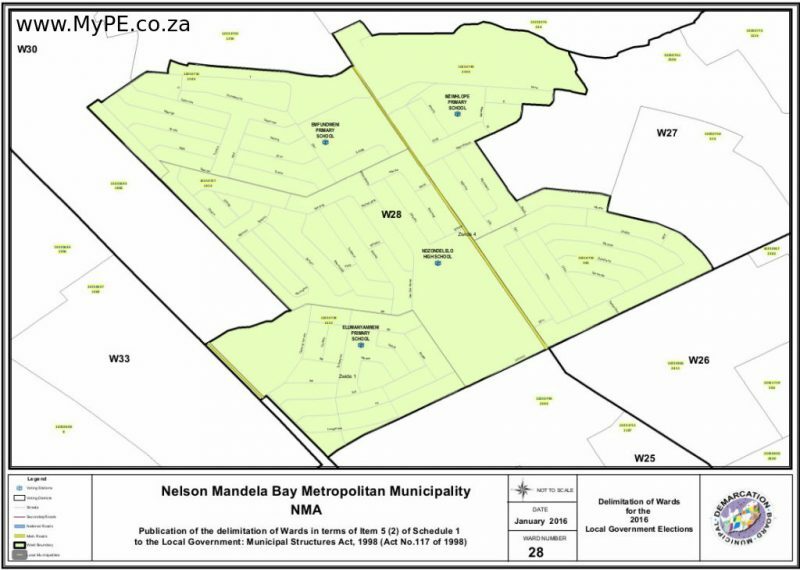 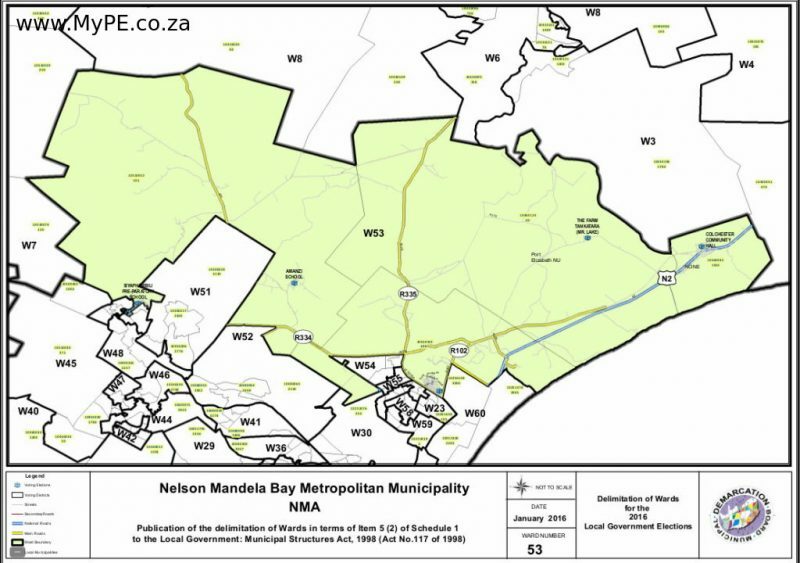 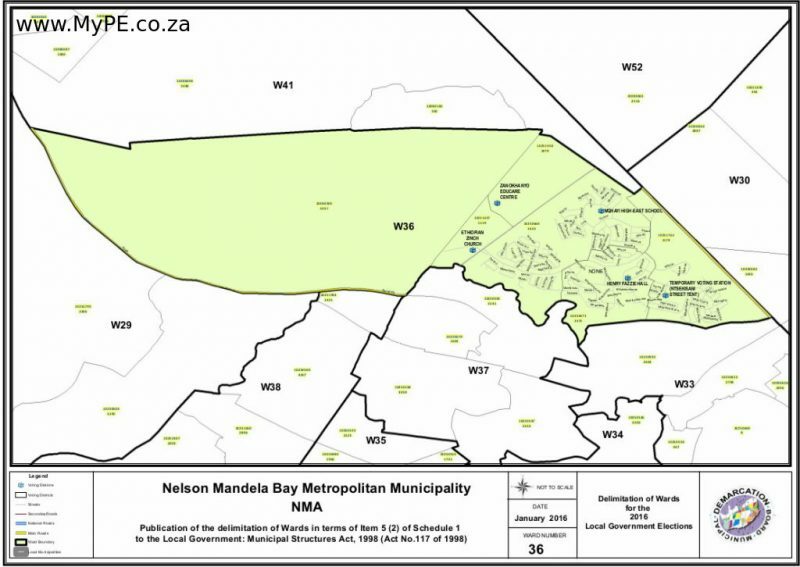 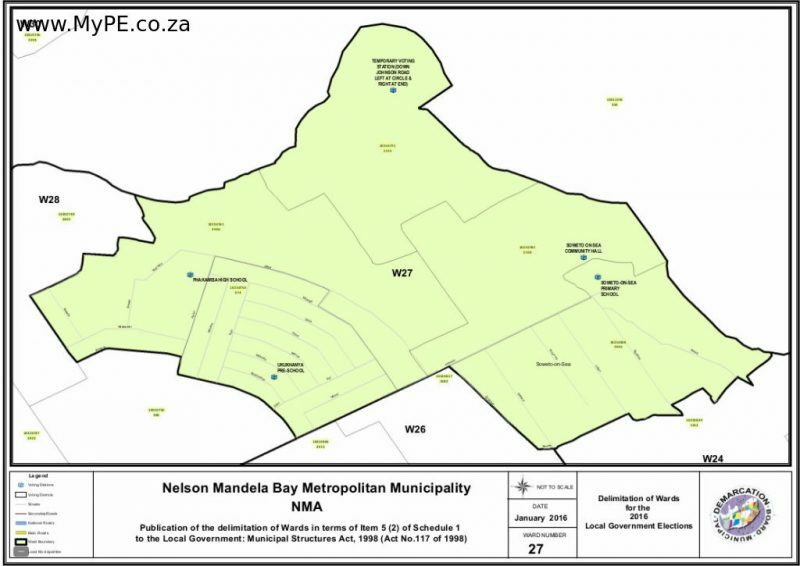 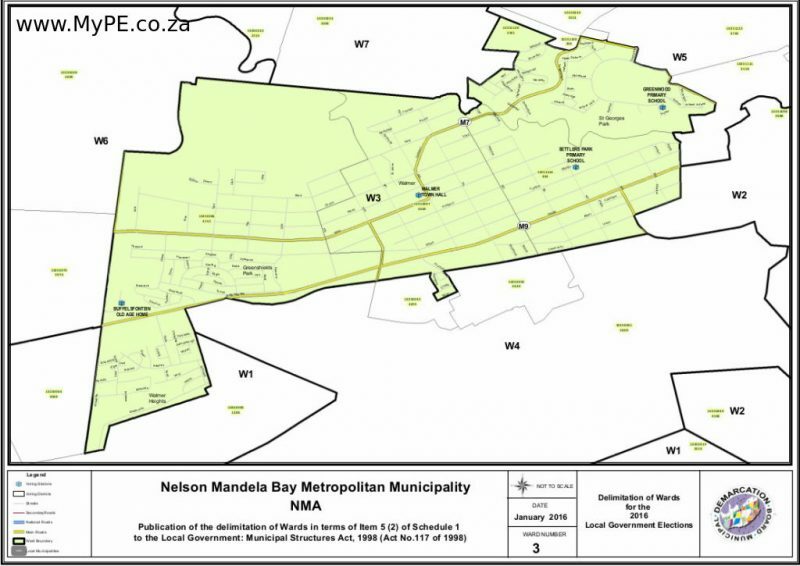 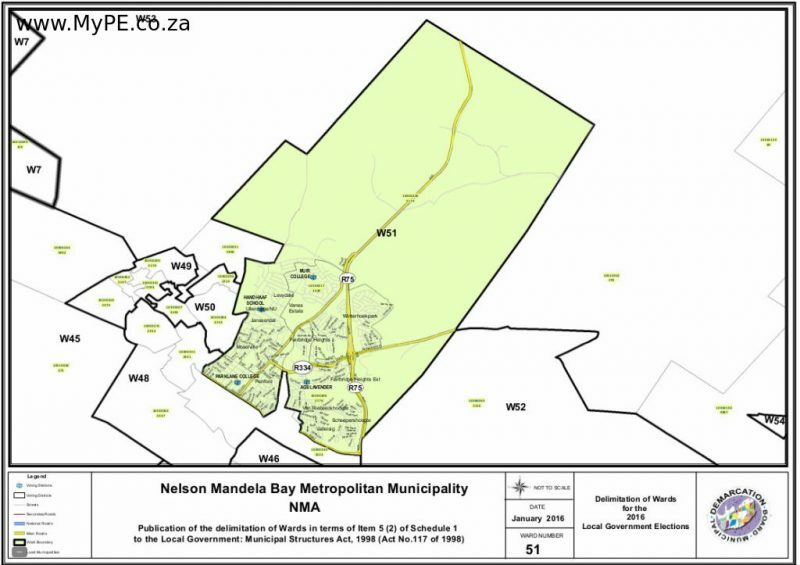 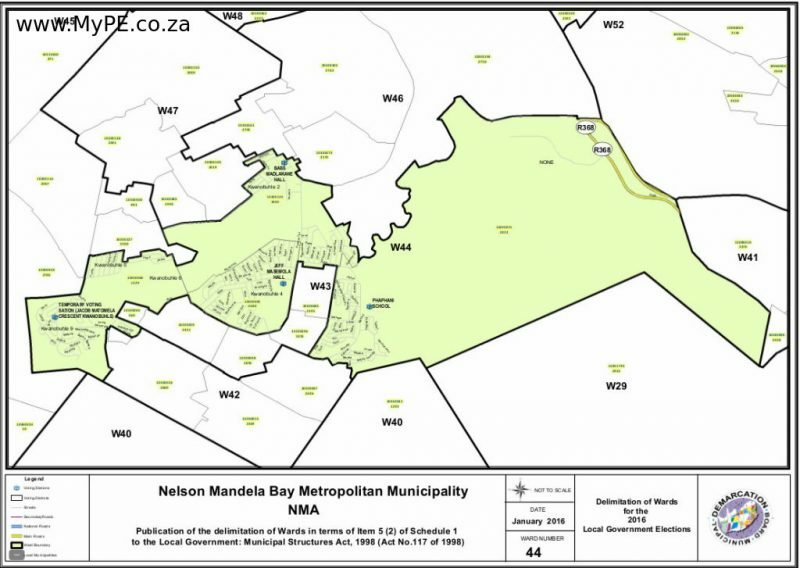 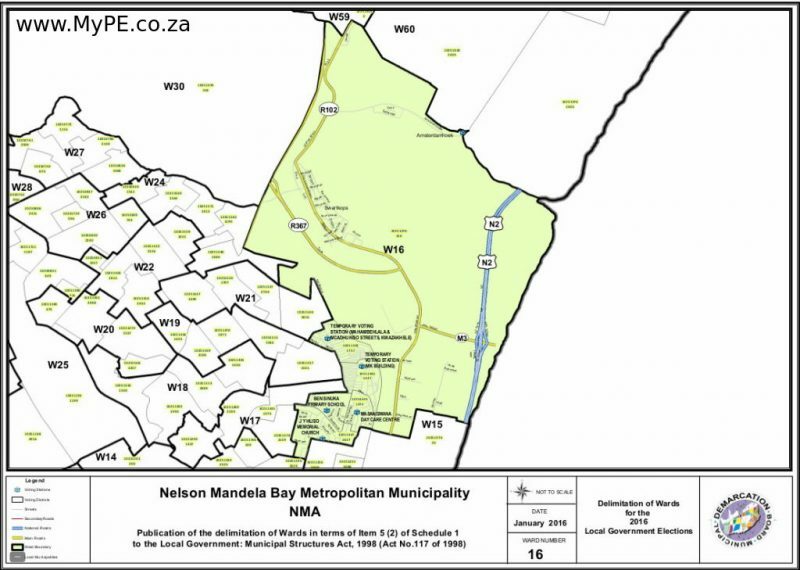 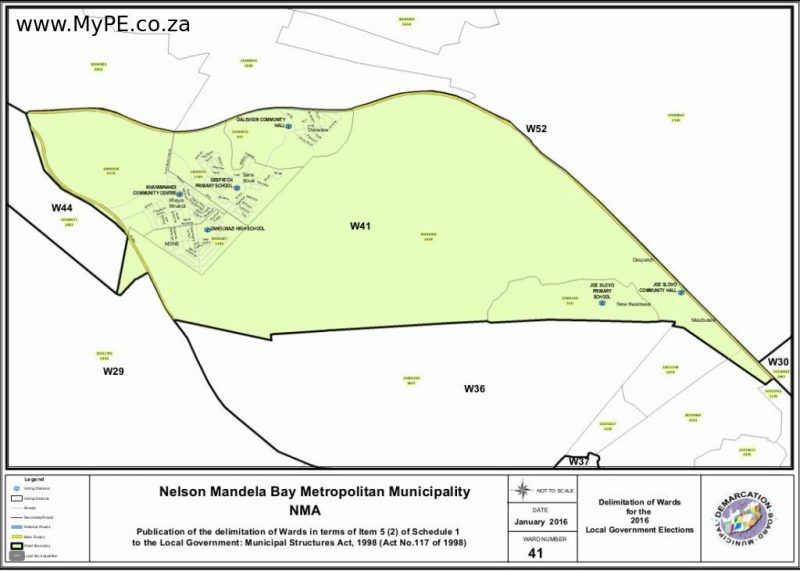 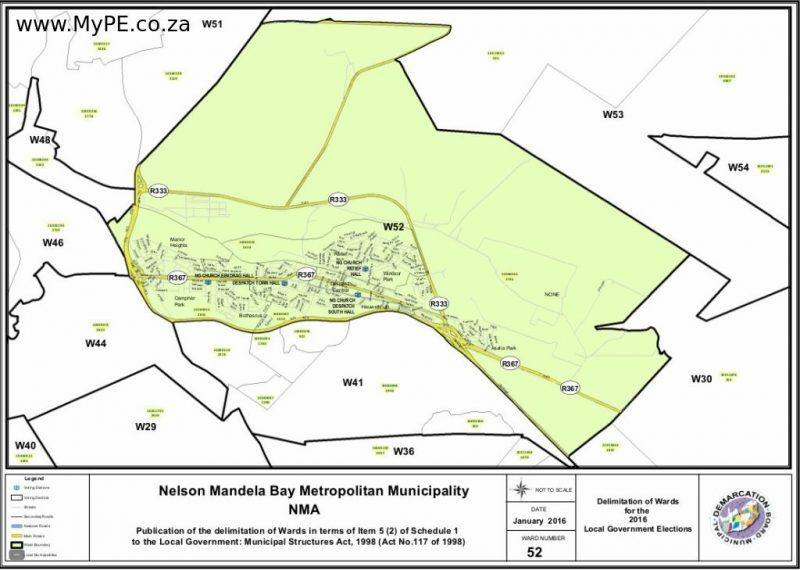 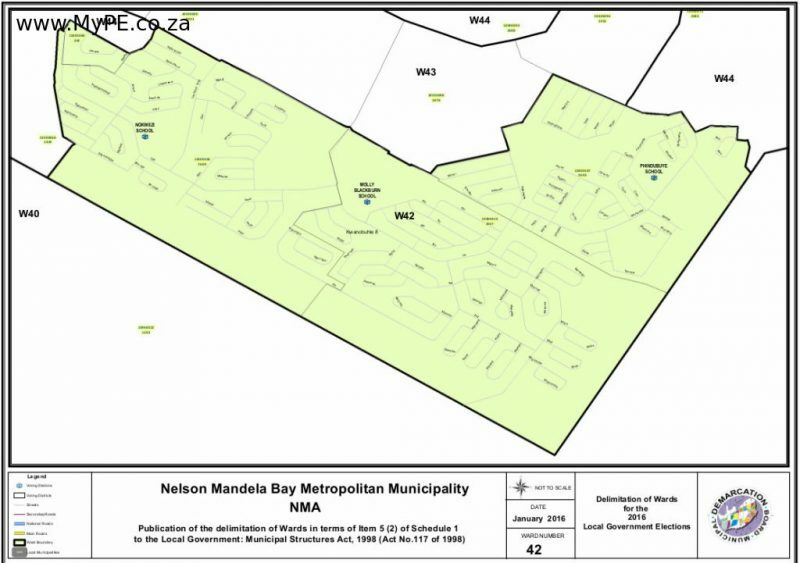 Below is a list of all 60 wards to be found within the Nelson Mandela Bay Metro. 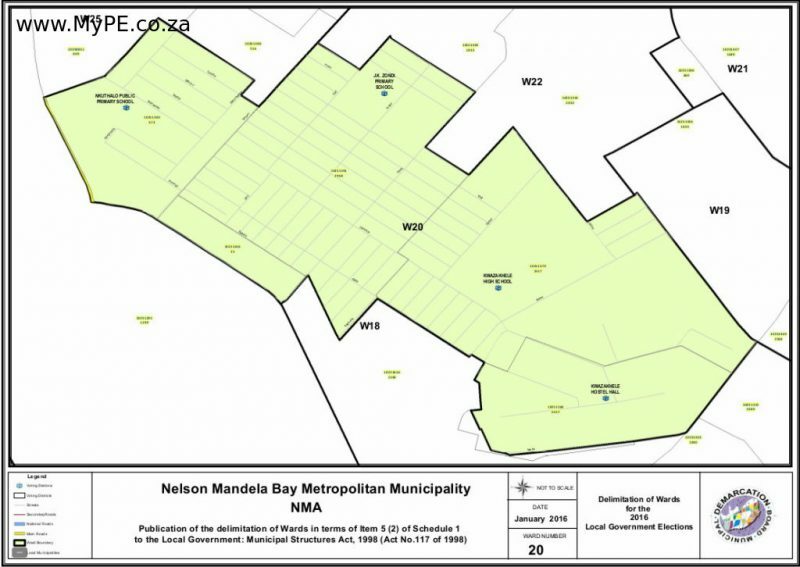 Click on each Ward to see the map of each.